I AM A LONG-TERM RESIDENT OF MIDLAND. I OWN A HOME HERE. I HAVE SOME CONCERNS IN REGARDS TO THE TOWN. I LIVED IN MIDLAND FOR MOST OF MY LIFE. I LOVE LIVING IN THE TOWN OF MIDLAND AND I BELIEVE I CAN MAKE A DIFFERENCE FOR THE BETTER. 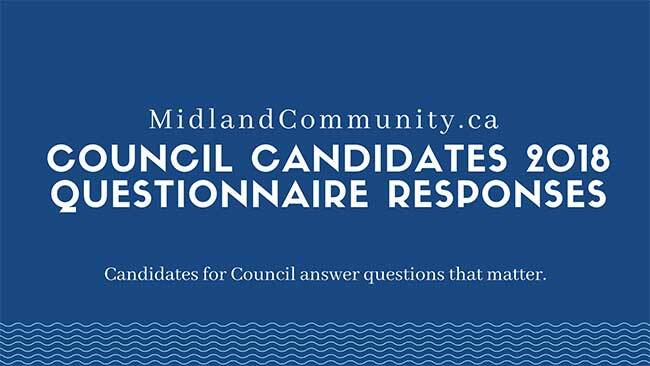 Be the first to comment on "2018 Council Candidate Questionnaire Response – Keith Day"